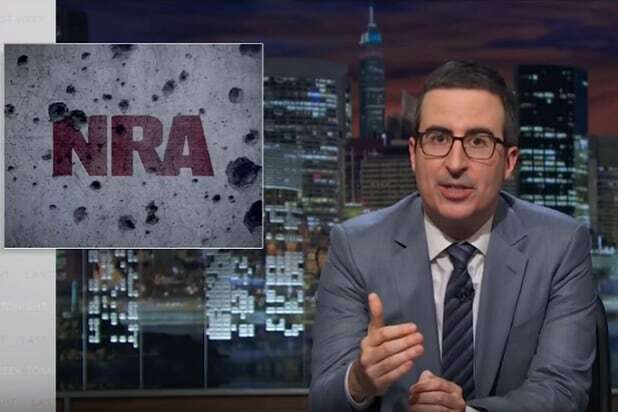 John Oliver explained on Sunday why the National Rifle Association is consistently able to prevent any votes in favor of more gun control legislation. Oliver began the “Last Week Tonight” segment by saying that despite the upcoming vote on some gun control measures in the House and Senate, any real change is unlikely. Oliver also reminded viewers of the Dickey amendment passed in 1996, which forbid the Center for Disease Control from doing any real research on gun control and gun violence. Since that amendment was passed, funding for CDC studies on guns have dropped by 96 percent. For example, while the NRA has less members and spends less money than some other lobbying groups, their member base is highly motivated. The NRA also provides them with very specific alerts any time a gun control measure is being debated in any Congressional committee. Oliver closed the segment by calling on his viewers to repeatedly petition their representatives about at least repealing the Dickey amendment. 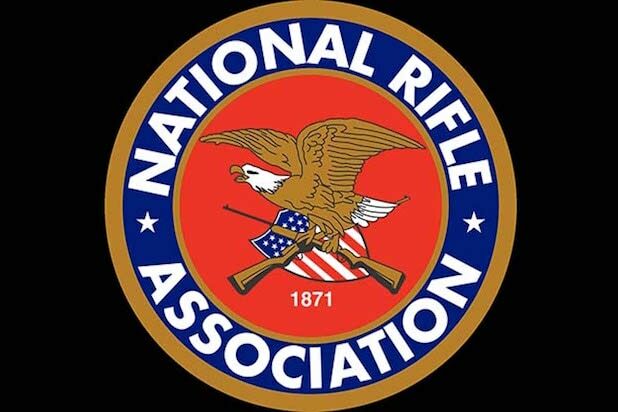 The National Rifle Association has stood up for gun owners for years, but come under heavy criticism for opposing gun control after mass shootings from San Bernardino to Orlando. Some celebrity members of the group have stood by it, while others have distanced themselves from certain stances. Rock musician Ted Nugent is one of the NRA's most outspoken members. In January 2015, on the organization's radio show, he called NRA opponents "subhuman mongrels" and "some kind of inbred Martian." NBA Hall of Famer Karl Malone is an avid hunter and has served on the NRA Board. But he angered some gun owners when he spoke to Sports Illustrated about those who buy guns for their protection: "The big picture is that guns won't protect you. If someone really wanted to get you, they would." "Walker, Texas Ranger" star Chuck Norris has a long history as an avid NRA spokesperson, creating videos supporting the Second Amendment and NRA initiatives including the "Trigger The Vote" campaign. Actor Tom Selleck got into a heated debate with Rosie O'Donnell in 1999 when she questioned him about being a member of the NRA. In 2013, shortly after the Sandy Hook school shootings, MSNBC pundit Lawrence O'Donnell said that it was time to "question Selleck's humanity" after the actor's silence on the matter. In 2014, an online petition circulated demanding the Glastonbury music festival remove Metallica from the schedule because its frontman, James Hetfield, is an NRA member with a history of hunting. Hetfield narrated the History Channel series "The Hunt," about a trek to Kodiak, Alaska, to kill brown bears. When it comes to gun control, however, Hetfield said in 2013: "I don’t want to make it easier for someone to have an assault weapon, but I also want to be able to protect my family." After the Sandy Hook school shootings in December 2012, West Coast Choppers founder Jesse James wrote a Facebook post supporting the NRA and objecting to gun control laws in some states. "People that should not have guns will still find a way to get them. Please join the NRA now," he wrote. Country singer Miranda Lambert is a lifetime NRA member and an outspoken gun rights advocate. At the 2016 American Country Music awards, she showed up on the red carpet sporting pink stilettos with a tiny gun and holster strapped to the front. In a 2002 interview with The Guardian, director Michael Moore talked about how he got a NRA lifetime membership as part of a stunt for his documentary, "Bowling For Columbine." He mentioned he had planned to run against Charlton Heston for the group's presidency, but gave up on the plan. The NRA president is voted on by board members, rather than the entire organization.